In case you haven't noticed, Samsung's Galaxy S6 and S6 edge are now 6 months old, which means that, in about another 6 months from now, their successors - most probably included in the Galaxy S7 series - will likely be ready to hit the market. Not long ago, we heard that Samsung could launch a 5.2-inch S7, as well as a 5.8-inch variant. Now, SamMobile is reportedly "confirming" that the Galaxy S7 will indeed have two versions, though it's not clear if their screens will differ in size. What SamMobile notes is that the two S7 variants (model numbers SM-G930 and the SM-G935) will resemble the Galaxy S6 and Galaxy S6 edge in one regard: the SM-G930 will have a regular screen, while the SM-G935 should sport a dual-curve one. It's said that, internally, Samsung is referring to the SM-G930 as the "Hero", while the SM-G935 is being called "Hero2". The entire Galaxy S7 project is known internally as Project Lucky. Depending on market, the two S7 smartphones should be powered by either Samsung's Exynos 8890 processor, or Qualcomm's Snapdragon 820. According to SamMobile, the two Galaxy S7 handsets will be available in the US, Canada, Europe, China, and South Korea (though this doesn't mean we won't see them in other markets, too). All relevant US carriers are expected to offer the new Galaxies. Of course, for now we can't be sure of anything regarding Samsung's next-gen Galaxy flagship series. What would you like Samsung to do with the S7 family? Do you have any link to support that mx5 pro has uFS storage. I hope they retain the 5" factor and improve the quality of the glass on their displays which is the only thing keeping me from buying the s6 edge. I saw many users on xda compain that their displays cracked due to overheating while charging on their s6 edge. Seems like a more common issue than previously thought. The S6 Edge is more durable than the iPhone 6, based on drop tests. And since you would be slapping a case on the bottom, I don't see the problem. Sounds like you simply have fear of something you don't know. Sounds like you jumped to the conclusion that the only two options are between an iPhone and a Galaxy. Hmmm, carrier model numbers in September. Could these be launching sooner than March 2016? Good for Samsung. They did a great job with both the S6 and S6 edge. My hope is that they incorporate the new double density battery tech they have been developing. If it has a glass back I want nothing to do with it. But will the original flat version have a 5.8inch edition. if you believe your product can sell, you don't need so many different types of similar products. i would rather you focus more on current product lines without expamding them and focus on the quality products. They should just sell the edge version. Its what makes it standout. IF I were to recommend S6 to someone, it would not be the Edge. Damn edges are sharp as hell. The microsd will have such a small effect that it won't even be noticeable. Hmmm. I disagree. So I'm using a microSD card with my S6 Edge+ the same way I did with my S6 Edge. I am using an adapter into the microUSB port...OTG. Now, I am using a Samsung Evo 128GB one which is very fast. The speed is exactly the same as when I was using the card with an internal slot. When I have to load stuff off the sdcard, mostly movies and music, they delay is very noticebale. Now grant it, the USB 2.0 port is not as fast as having he slot right on the PCB, but the speed should be no different because the controller for sdcards is actually slower than USB 2.0, so technically plugging in the adapter should be faster. However, I can see that loading movies from it is slower vs internal usage. It is VERY noticable. Just try it and you will see. I compared performance to a Note 4 where I used the card inside and them I compared them both with using the sdcard at all. The phones are BOTH noticeably faster without the sdcards. Movies start faster with the internal slot vs using OTG. Its not terribly different, but it is very noticeable. So I have 2 of these microsd cards. I also have a Note pro 12.2. I used my PC to make both cards identical with the exact same files. There are over 8400 musics files, just over 200 movies and I have photos too. So I took both devices and used ES Explorer. I highlighted the same largest movie file and they both opened in the same movie player application MXPLAYER. Even though I know the Note Pro has much older hardware, the video started playback faster using the sdcard internally vs over OTG. Its not significant, its not a big deal. I am only saying it is noticeable. Well, of course it's going to be a bit slow with external microSD. I'm pretty sure the UFS 2.0 is compatible with microSD. The only thing it slows is when the app data is placed in the extrnal storage rather than the native storage. For me, internal memory for apps and external memory for media. As long as they get the optimization right on the s7 the first time I'm in! I personally think they should drop the flat model and just go Edge and just drop the price of the Edge model down to what the S has been. Based on the design of the present S6 models, I just don't see the S7 being physically much different. I probably wont be buying the S6 since I have only had my S6 Edge+ for just over a month. But it will be nice to see how they change the look. Hopefully they don't pull an Apple and the phone look identical, because that only works with Apple. 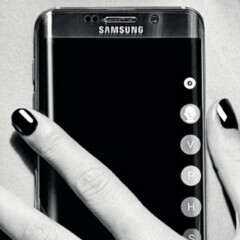 If Samsung does it, they will be ridiculed and convince people not to buy them. What would be cool is if they revisited the Galaxy S2 design and make the S7 a bit boxy, but with the same shape. To explain. If you look at the present Edge phone, the sides tilt down a bit. What I am describing is just keeping it at similar thickness, but make it flat on the sides. This will prevent the edges from being so sharp. Though I love using it out the case at home, it is hard to hold and the sharp edge does get uncomfortable after maybe 20 minutes of holding it. Doing what I described would get ride of that beveld look which makes the S6 Edge+ look like its 2 pieces together vs how the original S6 Edge looks which it looks like a single unibody design and it doesnt have that beveled edge liek the bigger one. For the colors. I liek the shiny colors, but lets add some texture to the look. Keep the shine, but it would be less shiny. For example, take a carbon-like pattern and go back and forth with a pattern and shine. If you look at a piece of carbon fiber weave, you see dark and light mixed together. Also, change the gold to a different shade. Not pink and ugly like someone has, but actually use a darker tone. 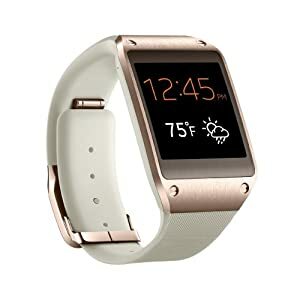 If Rose Gold, use the more copper/reddish tone like it was on the original Gear -http://ecx.images-amazon.com/images/I/41lpWOhiLJL._SY300_.jpg Hoping they add a few new features that are useful.